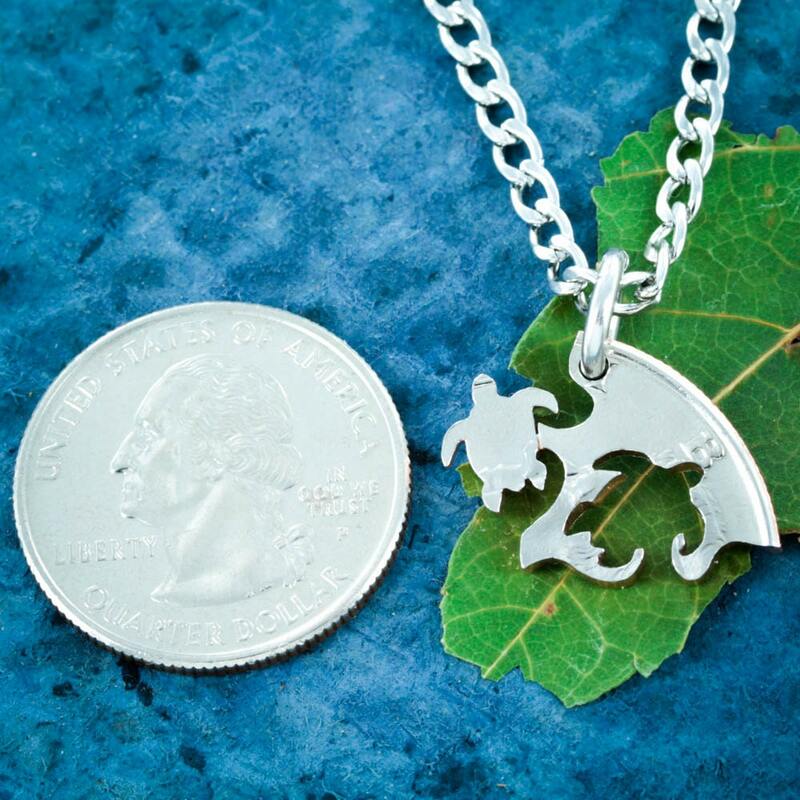 This is a five piece turtle necklace set. 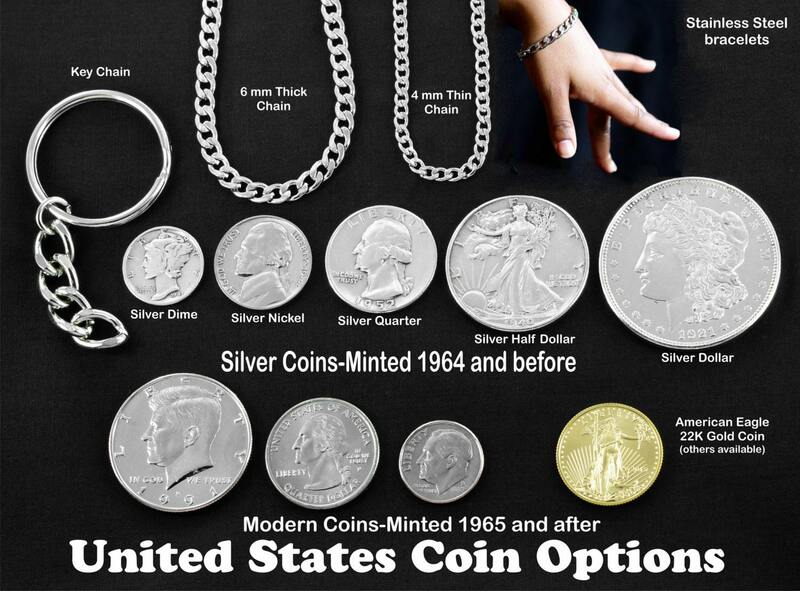 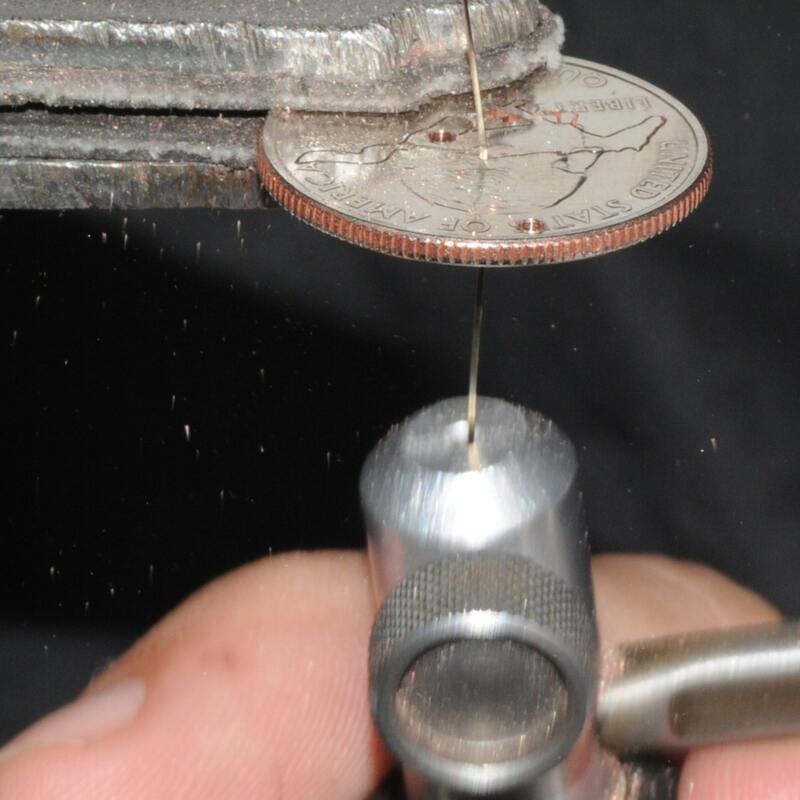 It has all been cut from one coin. 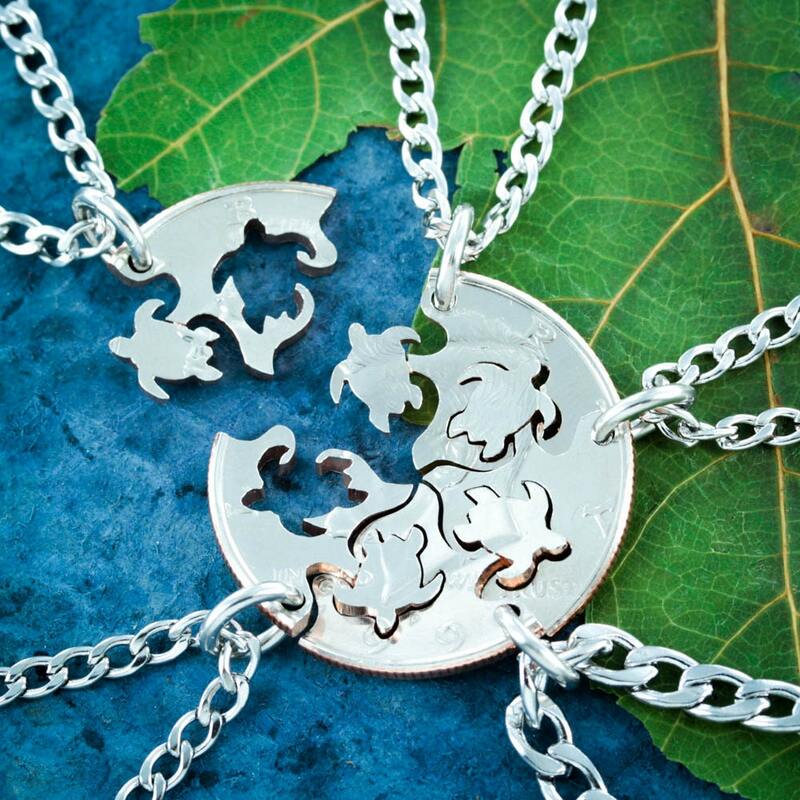 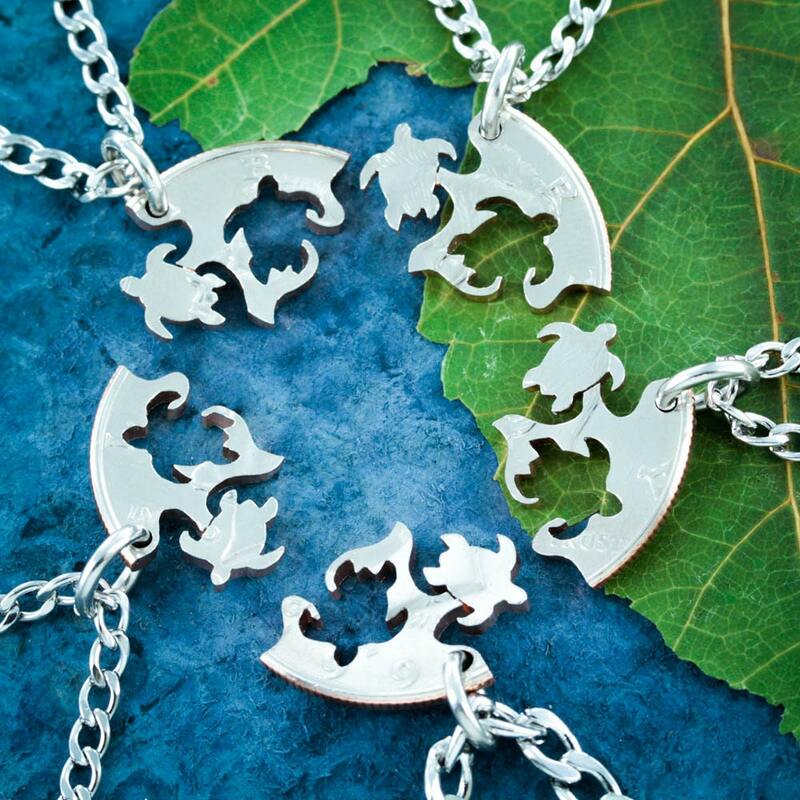 Each interlocking turtle necklace fits perfectly together with the ones around it.